A few years ago, reader Richard Trahan submitted the photo you see here to share with readers. Trahan got a huge surprise while checking the game camera on his feeder on a Tyler County lease. He knew a bunch of hogs were hitting it but he had no idea just how big some of them were. 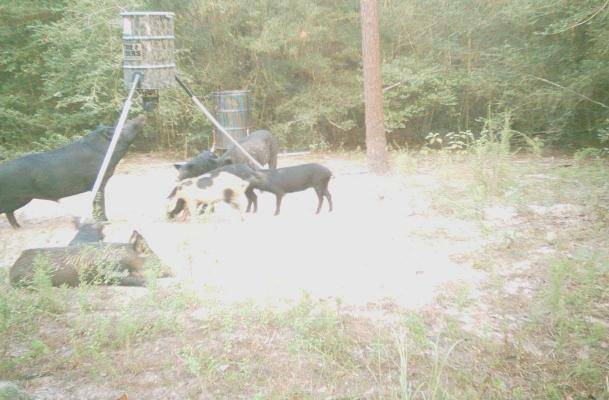 The monster hog on the left is standing flat-footed and nearly touching the timer/motor of the feeder. How big do you think this hog is?